If you're a vegetarian, this is the restaurant for you. 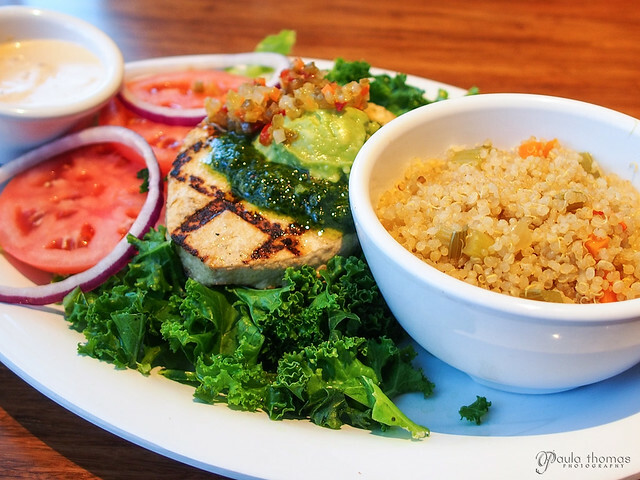 Veggie Grill is, as its name implies, a vegetarian restaurant chain. They have locations up and down the West coast from California to Washington. I've never been to one or really even heard of it until the International Food Blogger Conference but they have been in Washington for a little over a year. They were one of the restaurants serving up some good eats during the lunch culinary expo. I was very impressed with their kale salad and the carrot cake was amazing. 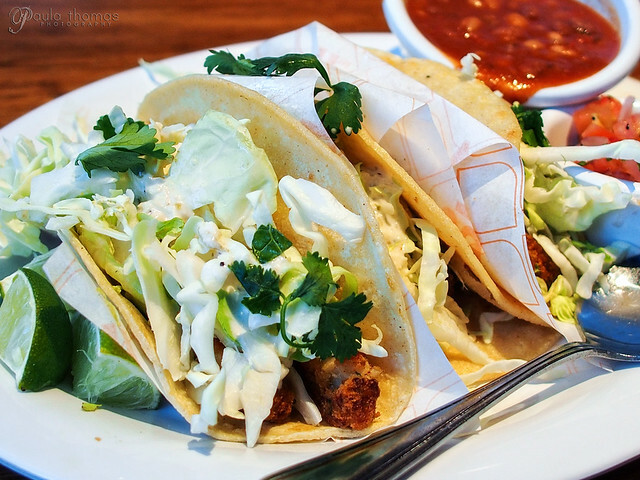 They gave the conference attendees some coupons for the restaurant so I used one of them last week at the South Lake Union location. They also have one in University Village and they'll be opening soon in Bellevue and downtown on 4th. I had the blackened chickin plate with steamed kale and quinoa pilaf. I was impressed with how much it actually tasted like chicken. If you have soy sensitivities though you will want to stick with one of their salads or ask them which items are soy free. I usually try to avoid soy because it doesn't always agree with me so I probably wouldn't get the chickin again for that reason. 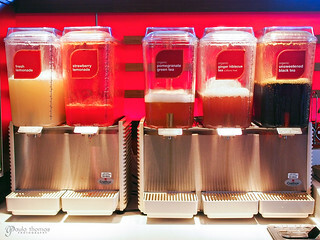 Many of their menu items are gluten free and they are labeled on their menu. Mark got the fish tacos which he seemed to enjoy. We didn't get any dessert but I still think of the carrot cake I had at IFBC. 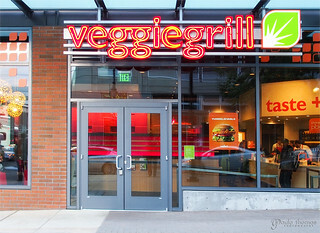 I still have a couple of coupons for Veggie Grill and look forward to going back and next time I plan on getting the carrot cake.